A new company specializing in gourmet spice blends, called Kanel Spices, has opened its first retail location in Montreal as well as an online store, and has big plans for growth across a variety of different distribution channels. Kanel offers a range of spice blends and sea salts that aim to provide an easy way for customers to make flavourful meals. Examples include Summer Black Truffle Salt, Smoked Chorizo Rub, Organic Sunday Roast, Organic Louisiana Fried Chicken, and the most popular blend, Sweet & Smoky Salmon. Kanel’s founder, Kim Wiseman, came up with the concept after having her two kids and finding that she had little time to prepare meals. 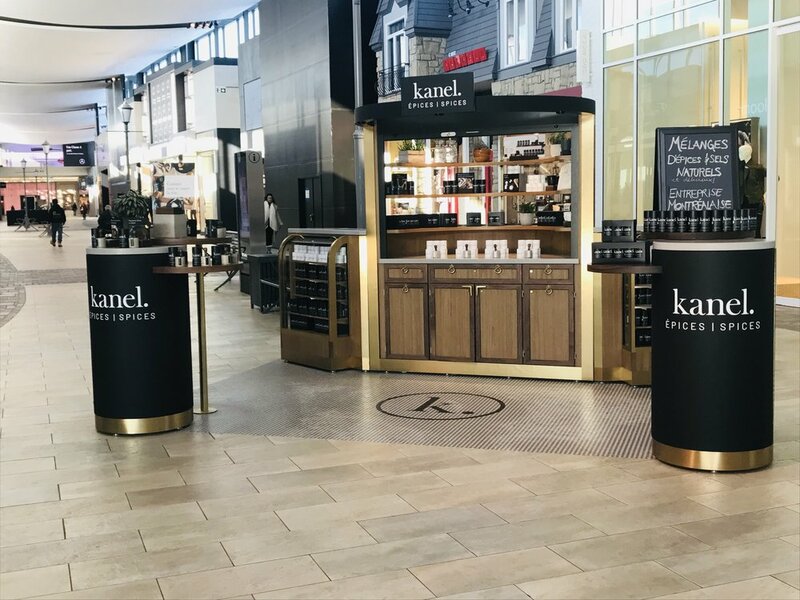 Kanel opened its first physical location, a kiosk, at CF Carrefour Laval in November 2018. The kiosk model is ideal for Kanel, Wiseman says, since it provides an open-concept space where customers can interact with the products. The design of the kiosk mimics the design of Kanel’s product packaging: clean and uncluttered, and primarily black and white. Wiseman says that although there can be a stigma around retail kiosks, she views it as a model with lots of potential for Kanel. 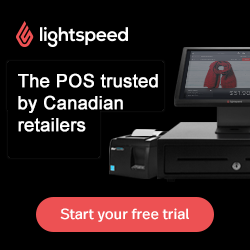 Kanel is exploring potential new locations in Quebec and Eastern Ontario in 2019, with a focus on high traffic malls. The kiosks require between 100-150 square feet. In addition, Wiseman says she is interested in exploring other types of locations, such as spaces within food halls that are emerging across the country. The company is also considering distribution partnerships with specialty grocery stores. Wiseman plans to leverage the e-commerce channel to engage customers on a different level, by providing product recommendations and recipe suggestions based on each customer’s individual purchase history. In addition, she intends to enable users to share feedback, recipes and reviews with other shoppers through the online platform. “Nothing beats user-generated content in the food arena,” she says. Kanel targets a broad demographic with its products, according to Wiseman. Kanel uses all natural ingredients, and follows a rigorous process for developing new blends. “We expertly balance different notes and taste profiles, and use the freshest herbs and spices to bring the boldest flavours possible,” says Wiseman. She says her team tests many different variations before deciding on the best ones. “We tried over 500 blends to launch this collection of 17,” she says. The company is currently preparing to launch three new blends, and plans to continuously add to and refine its collection of products. “There’s a lot of seasonality to it,” Wiseman says, noting that the selection of products will likely shift throughout the year, featuring more barbeque options in the summer and flavours like pumpkin spice and apple pie in the fall months. She says there’s also potential for Kanel to expand from spices into products such as drinks and flavoured oils. The company strives to be as green as possible in its operations, including using packaging that is compostable and recyclable. “We’re very environmentally focused,” Wiseman says. Megan Harman is a business reporter based in Toronto. She writes about topics including retail, financial services and technology. Megan covers Toronto’s retail industry through her blog Retail Realm (torontoretail.wordpress.com). Follow her on Twitter at @meganmharman. Kim Wiseman’s new company specializes in gourmet spice blends in a variety of flavours with exceptional branding, utilizing an omnichannel strategy that includes opening more storefronts as the retailer grows. LAUFT aims to build a global network of workspace locations that can be booked through a mobile app. The new store in a historical building in downtown Montreal’s ‘jewellery district’ boasts 1,700 square feet of retail space, and pieces favoured by celebrities such as Megan Markle. New stores contain demonstration tables to provide an interactive experience for kids. 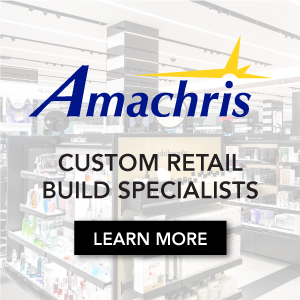 Trendy Canadian gift retail chain has opened another store as it grows its presence nationally.